Tomorrow marks the start of the Third Qualifying round of the FA Cup and I for one will be at a ground embracing what is readily coined the “Greatest Domestic Cup Competition in the World”. We all know that this phrase will be milked by the media over the coming season and their chase of the great underdog tale. Pretty much similar to the approach used this week to glorify the trades of San Marino or as any normal person can see it, outwardly mocking a nation. Little do the media know but that the San Marinese could quite openly mock us. They have one of the lowest unemployment rates in Europe and have a highly stable economy, something which is alien over the majority of the Earth. My point here is that ‘minnows’ should be respected and it is the respective domestic minnows that are fighting to be a part of a major tournament this weekend. The attention of the media will not turn to the ‘Greatest Competition’ for over a month now, when the first round proper begins on November 8th. The lowest rank team left in the competition at the Third Qualifying phase, Willand Rovers, have already been sniffed out by the BBC. Luckily they now have the pressure of this tag. Willand succeed last year’s title holders Daventry Town as benefactors of the lowest rank. Daventry proved last season that they were anything but ‘minnows’ as they graduated to the first round for the only time in their history to face Chesterfield at the ProAct Stadium. I was there during my stint working with the Spireites and it was clear to see that Daventry had been mightily underestimated by their Football League opponents. The Northamptonshire club were confident and comfortable in possession, whilst at stages creating chances with relative ease. This is about the time I list the actual professions of the team that played that day. That is what they were that day and arguably the better ones if you had never seen a football game before. In the end, the pace of the fixture took its toll on the team from the ninth tier of the English footballing pyramid and they succumbed to a 2-0 defeat thanks to two late goals. At the end of the day, they had won in many people’s eyes. Winning a couple of games is massive at this level and every chairman, regardless of whether the manager agrees with them, wants to have a successful cup run. This is why when we come to the nitty gritty tomorrow, almost all, if not every, team will be playing a full strength team. I have been following the exploits of Gainsborough Trinity, my hometown club, this season, writing for the local paper. They came out with their first XI against Farsley AFC in the round prior, where they entered the competition, against a team two divisions below them. The fixture ended 4-1 to Trinity but there was not a significant gulf in skill on show, but a clinical edge was shown by one team. This was my first qualifying experience for a long time and I thoroughly enjoyed it. The opportunity to potentially play a team like Sheffield United at Bramall Lane or even a return to Chesterfield, is high on my list of achievements for this team. They have had another ‘helpful’ draw in the form of Marine of the Northern Premier League for tomorrow and I am already looking forward to the game. People will of course be talking about pressure but that is the nature of the beast in football and in every other profession. Another day at the office if you will. Personally, I have not felt this excitement for the FA Cup for a long time. It is definitely a dying ember at the top level, as they hastily choose to rotate the squad without a moments thought to the paying public. The thought of being so close to playing at a football league ground, will mean a sleepless Sunday night for many fans, who’s team will be involved in Monday’s draw. I share the same view of the Gainsborough chairman, Nick Tinker, that a local draw with either Lincoln City or Grimsby Town would be the best option for the club in terms of finances. Obviously another kind draw would be preferable to give the opportunity to spar against Football League opposition. 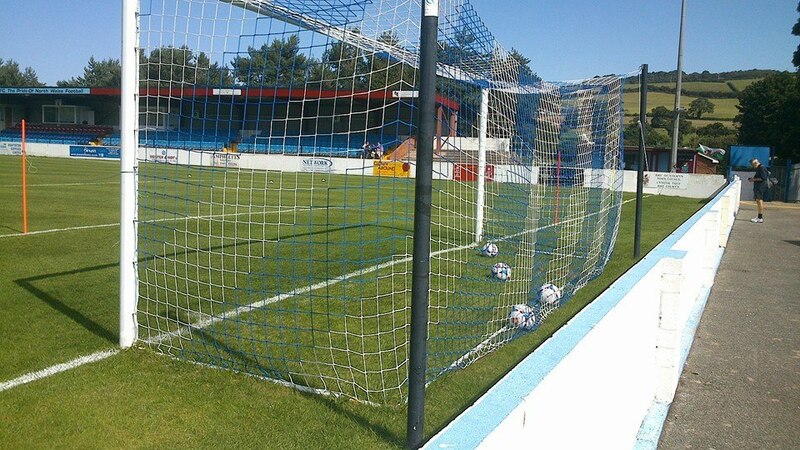 There are still many an obstacle left, no less the arrival of the Vanarama Conference teams in Monday’s hat. That is the danger of a knockout tournament. You could face the highest ranked teams consistently and win every time. On the flip side you may face the lowest and be eliminated. That is why I will head to the Northolme tomorrow knowing that whatever happens, the fondness of the FA Cup from yesteryear has truly been rekindled within me. To me that is a fantastic conclusion. PS. I also vow to cease rotating my squads on FIFA or Football Manager when it is FA Cup weekend.